I read this article and found it very interesting, thought it might be something for you. 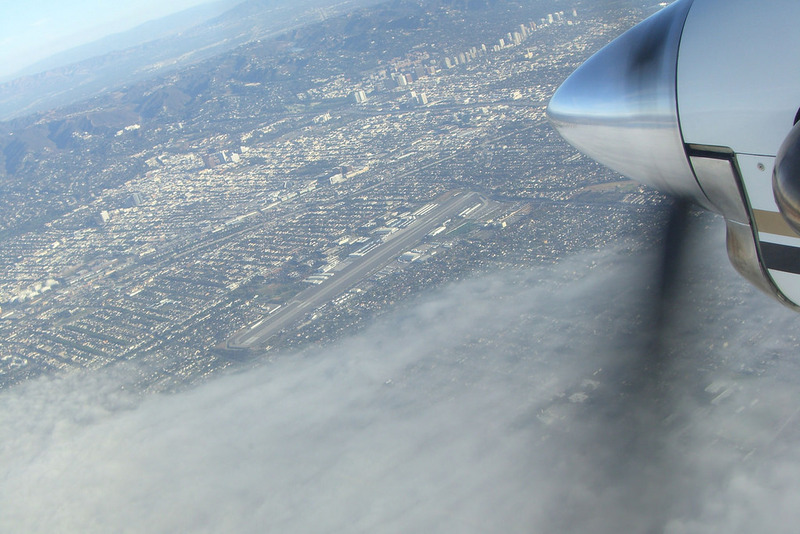 The article is called 7 Reasons to Go Santa Monica Stairs and is located at http://trip-n-travel.com/listicle/6910/. 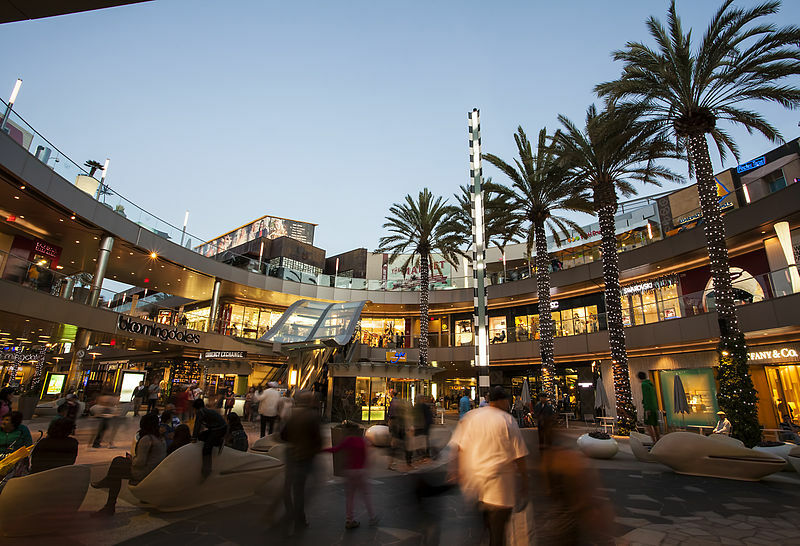 If you’re a health-conscious person living near Santa Monica, you already know this place and have probably been there. But if you’re not originally from Santa Monica ut still enjoy a good work out, even when you’re on vacation- you’d be happy to know about this place. I’m talking about the famous or somewhat ‘infamous’ Santa Monica Stairs. The main Santa Monica Stairs are two gigantic staircases that have become quite a tourist attraction and go to place for people who love to workout. Here are 7 reasons to go to Santa Monica Stairs. The wooden stairs start at the intersection of 7th Street leads to Entrada Drive. There are about 170 steps in there which is about 109 feet high from the ground. In other words, if you’re standing atop the wooden staircase, you’re standing about eight stories high from the ground. People from all over Santa Monica, Los Angeles, and California come to visit this staircase. The concrete stairs begin at the intersection of 4th Street and leads to Ocean Avenue Ext. As the name suggests, the flights of the stairs are made of concrete. The stairs take right and left-hand turns and keep rising to 187-189 steps which are about 111 foot high vertically and again is equivalent to eight stories high from the ground. This staircase is a bit narrower than the wooden staircase, but still it’s an excellent location to visit. Montana Avenue Stairs has 168 steps which make it 105 feet high above Pacific Coast Highway. This stair is particularly famous for the amazing sceneries surrounding it. You can clearly see the Pacific Ocean nearby. This stair isn’t as popular as the wooden stars and the concrete stairs so if you want some quite time high up above the ground- you can check these stairs out. Your visit to a legendary staircase can’t be complete without you climbing the stairs. It doesn’t matter if you can’t reach the top, although the highest stairs are about eight stories high so you should be able to climb them with ease- if you can’t there’s something wrong with your health and that’s all the more reason to start climbing. Besides you can lose those extra calories you ate this way. Most of the local people that visit Santa Monica Stairs go there for only one reason- exercise. If you go there you’ll see hundreds of people climbing and running up and down the stairs and doing all sorts of physical exercises. The study says people are more eager to start physical activities if they get an exercise environment. So, if you can’t afford the gym or are too lazy to start exercising, you should visit the stairs right away. All those people sweating and working out for a healthier lifestyle will surely inspire you to start. 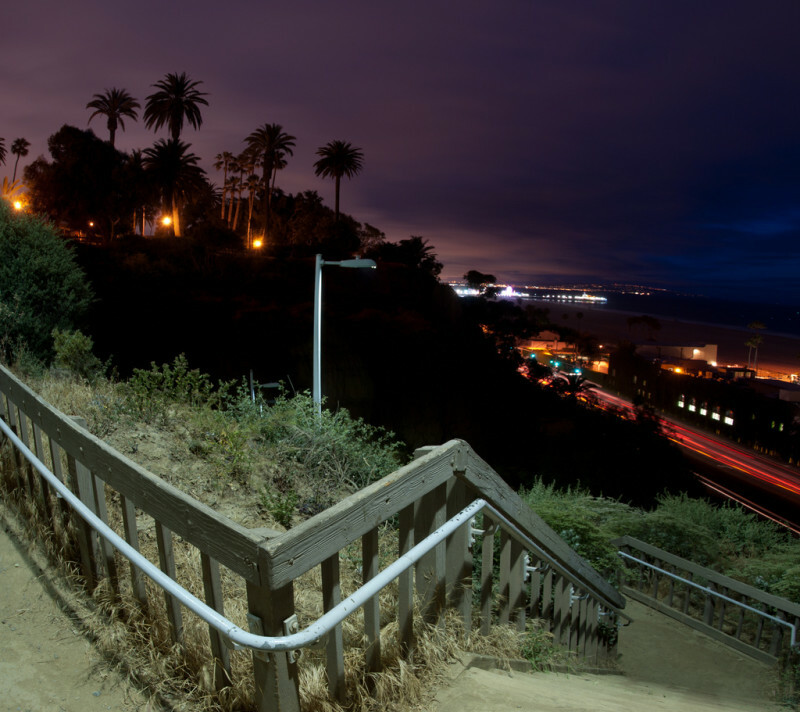 The Santa Monica Stairs don’t just attract exercise junkies. If you’re not much into exercising you could still have a great time at the Santa Monica Stairs observing the natural beauties of Santa Monica. 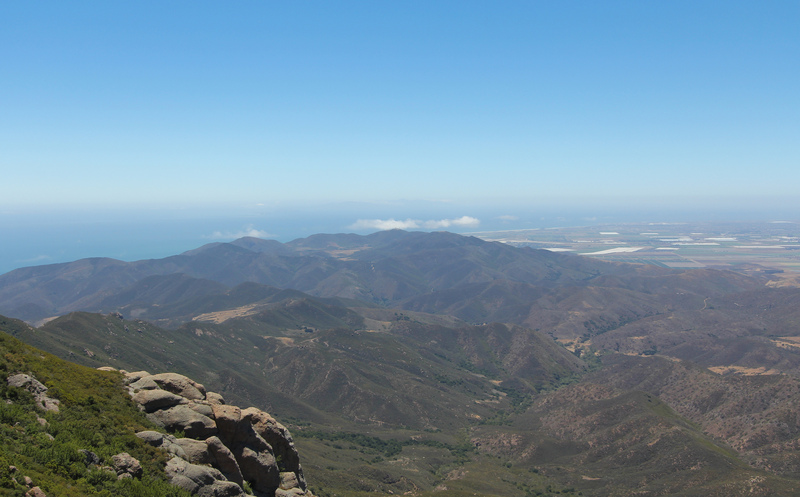 Because these stairs are so high and are built atop hills, you could see the Pacific Ocean, surrounding hills, and cities. 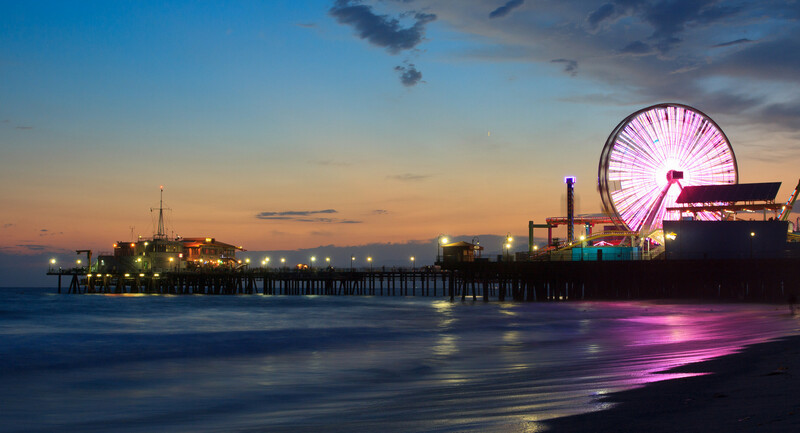 You could spend hours taking in the surreal beauty of the city of Santa Monica. 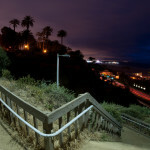 Santa Monica Stairs are excellent locations to enjoy and evening outside. The stairs have horizontal landings where you can sit and enjoy the ambiance. You could have a little picnic by yourself or with your loved ones provided that you carried the foods, of course! But you can buy water there- that’s the one thing you don’t have to carry! Or you could just enjoy yourself- watching people exercise and sight see. When we hear the word ‘stairs’ the first word that most often comes to our minds is ‘exhausting’. Of course climbing the Santa Monica Stairs is not a piece of cake. If you’re not a health conscious person, the task might be even tougher for you. But the pain is worth it. Ask the hundreds of visitors every day- they will tell you the same!